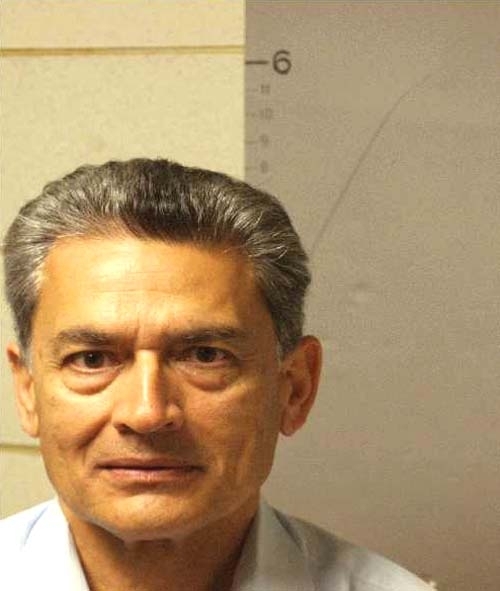 Former Goldman Sachs board member Rajat Gupta is pictured in the above United States Marshals Service mug shot snapped after he was indicted in October 2011 for allegedly passing on corporate secrets to Raj Rajaratnam, the billionaire hedge fund titan sentenced to 11 years in prison for insider trading. The 62-year-old Gupta, who once headed the McKinsey & Company consulting firm, has been accused of tipping Rajaratnam to confidential information about Goldman and Procter & Gamble. Free on $10 million bail, Gupta is scheduled for trial in U.S. District Court in Manhattan in April 2012.